A City in the Mind. SteidlBG, 2012. 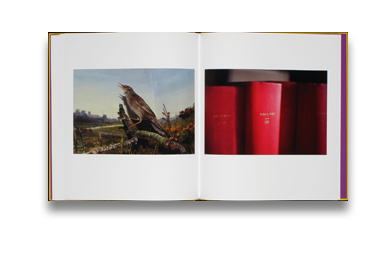 80 pp., 50 color illustrations, 11¼x12½". Many years ago, Peter Fraser was captivated by Italo Calvino’s Invisible Cities (1972). In 2006 he re-read this extraordinary novel and, struck anew by its emotional charge, began to photograph his current home London with the aim of creating an imagined “city in the mind”. Calvino’s book is a fictive exchange between the Tartar Emperor Kublai Khan and the explorer Marco Polo, whom Khan commissioned to collect news from across his massive empire in the late 1200s. Every evening Polo describes a new city from his travels more fabulous and exotic than the last, thus philosophising on the myriad creative possibilities of a “city”. (Many believe Calvino’s cities are indeed different interpretations of one and the same place – perhaps Venice.) 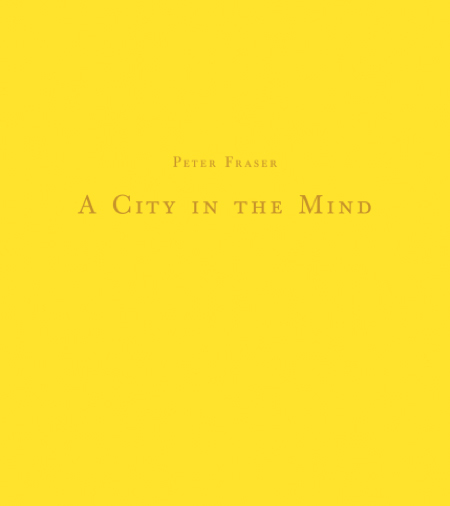 Fraser recasts Calvino’s notion of an invisible city to create a poetic vision of London that transcends the physical, and can only be experienced in the imagination. Read Adam Bell's review of A City in the Mind on photo-eye Blog.